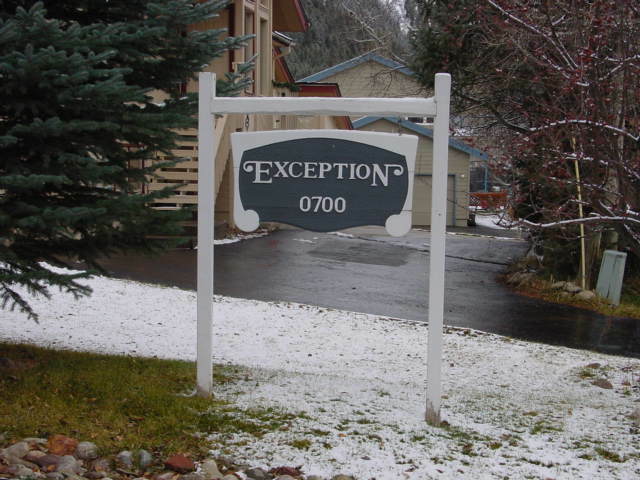 Just minutes from the world class resorts of Vail, Beaver Creek, Bachelor Gulch and Arrowhead, the Exception is one of the area's most delightful properties. Situated within a small enclave of homes, The Exception is unique to the Eagle-Vail area. Perfect any time of year, luxury and convenience are provided on each level of this stunning Quad Level home. It offers 4,000 square feet of living space, 4 spacious bedrooms, 4.5 baths, a loft and can comfortably accommodate 12-14 people. 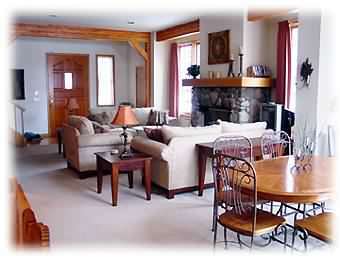 Ideal for gatherings of all kinds; family reunions, a friends ski vacation or a corporate retreat. You have waited a long time for your vacation, make it a special one here! Located only two miles from Beaver Creek and seven miles from Vail. A short five minute walk to the ECO bus stop makes all local ski areas quickly accessible. Four generously sized bedrooms, private loft, four & 1/2 baths - sleeps 12 - 14. Enclosed Hot Springs Spa, 6 person, 32 jets, comfort control system. Complete gourmet kitchen with top of the line stainless steel appliances: dual convection oven/microwave, warming oven, toaster oven, professional range/oven with exhaust hood, refridgerator w/icemaker and trash compactor. 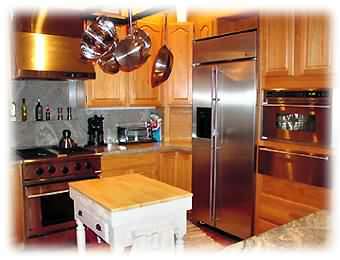 Granite slab countertops, Emeril cookware, and all necessary dishes, utensils and servingware. 10 ft ceilings on main level with exposed beams accent the large open space floor plan. Living room includes a river rock fireplace, all new comfortable furnishings, TV/DVD/VCR and a variety of movies are available for your use. A second living area is provided on the lower level and is equipped with a comfortable sectional sofa around a TV/DVD/VCR stereo with surround sound. A recreation area including a pool table and dart board adjoins this living area. An office area complete with computer, digital cable internet hookup and a printer/fax machine are also located on the lower level. We welcome your visit to our home. 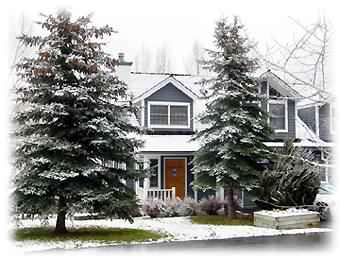 You will be staying in close proximity to the most fabulous ski resorts in the world. Readers of SKI Magazine have recognized Vail as a premier ski resort. Beaver Creek is known for its unique diversity, exceptional snow quality and an award-winning ski and snowboarding school. "It is a feast for the eyes; a delight for the senses. The influence of renowned resorts such as St. Moritz Switzerland, Cortina Italy and Val d'Aran, Spain, has resulted in a unique combination of mountain excitement and village luxury." Skiers comment, "Love the village-to-village cruising to Arrowhead and Bachelor Gulch." 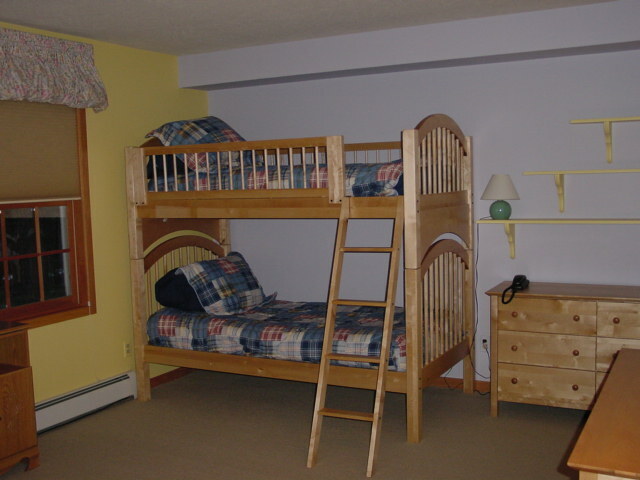 The bunkroom sleeps 5 people in two twin bunks and a twin trundle. Also on this lower level are a recreation area with pool table and dart board, a large screen TV with DVD/VCR plus CD stereo w/surround sound. Just beyond the large seating area and billiard table, we also have an office space, complete with computer, digital cable internet hook-up, and a printer/fax machine available for your use. We hope this office area, while an amenity, does not get much use - you're on vacation - remember?